German tennis player Anna Zaja is a fine example of professionalism and continuous improvement. 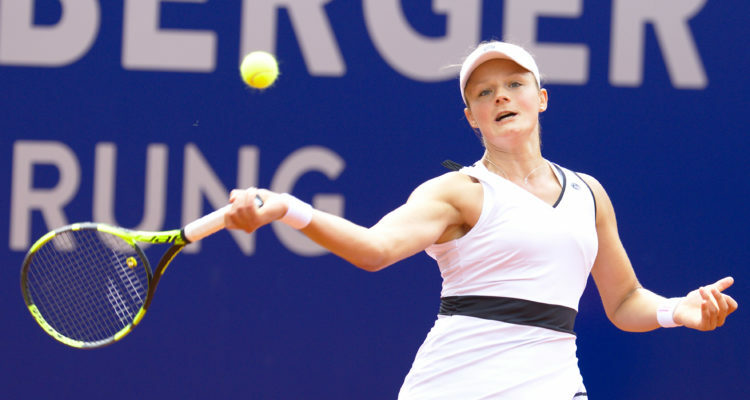 Having broken into the Top 200, reaching 191st in July 2018, Zaja has been a strong competitor on the circuit for several years. She’s also reached the First Round of the prestigious US Open, doing so in 2017. So far in her career, she has picked up an impressive 18 ITF Titles, 6 at Singles level. Her first trophy win at Singles level came in Muscat, Oman, in her third Final attempt. She beat Laetitia Sarrazin in an exciting final, before going two years without an ITF Final win. She won her next tournament in March 2014, winning against Kathinka von Deichmann in Heraklion, Greece. Other impressive wins include wins over Maia Lumsden in Glasgow in 2016 and, most recently, a win against fellow German Katharina Hobgarski in Aschaffenburg, Germany. For many, Zaja is a fine example of professionalism and consistent growth due to her year-on-year improvement. Growing all the time at both Singles and Doubles level, the impressive German is just moving into her peak years. If she can continue on her upward trajectory, success at even higher levels of the sport likely await.